Sankari's Sunshine Corner: Happy Birthday - MFT stamps! Happy Birthday - MFT stamps! I am excited to Guest Design for MFT stamps this month - there are some super cute stamps and die sets that are being released this month. I made today's card for a dear friend of mine who is celebrating her birthday right near the 4th of July - so I used the new Blueprints 26 - Die-Namics which is perfect for making a whole birthday card! Everything is only die-cut, no stamping!! Love that! Love the stitching details and the fun lettering - so many possibilities! Check out the MFT blog for all the amazing creations by the design team!! All content including text, pics, photos, artwork are copyright © Sankari Wegman. Any color challenges/sketch challenges will be cited. Please do not use my artwork for any publication or for any contest entry. Thank you so much for coming and visiting! Please stop by and say Hello! So grateful to have been on these wonderful Design Teams! 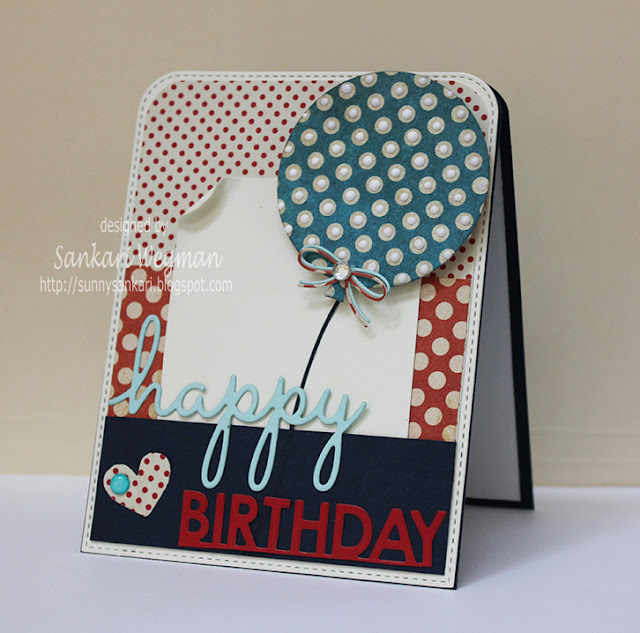 MFT Stamp Guest Designer: Shine ON!